You probably already have a bottle of Listerine in your bathroom cabinet to help you keep up with your oral health routine. In fact, Listerine is the brand responsible for making mouthwashes a common household commodity. But have you ever used Listerine for anything other than your regular bacteria-zapping gargles? Well, believe it or not, you can use Listerine to fix skin, hair and health issues. Formulated in the late 1800s Listerine was initially sold to surgeons as a surgical disinfectant. Over time, it has been sold as a floor cleaner, a dandruff remedy, a hair tonic, a deodorant and even a remedy for diseases like dysentery and gonorrhea. Its primary and popular use as a mouthwash took hold as a result of some ingenious marketing in the 1920s, which reintroduced bad breath as a medical problem called chronic halitosis. 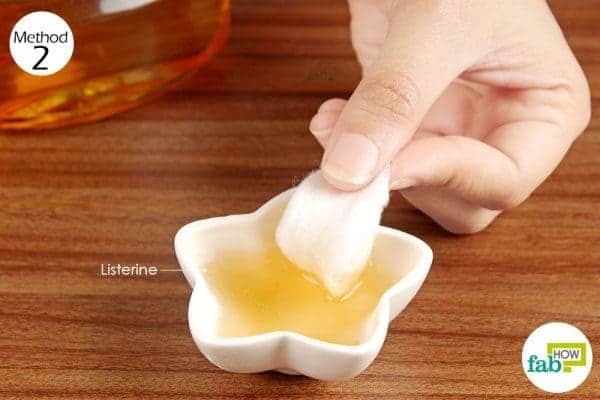 This brief history of Listerine gives you an idea of how it can be used for different health and beauty remedies. It has strong antibacterial and antifungal properties that make it quite versatile in its applications. When using Listerine for health and beauty hacks, always use the original, amber-colored Listerine. To help you get started, here are seven ways you can use Listerine to fix skin, hair and health issues. 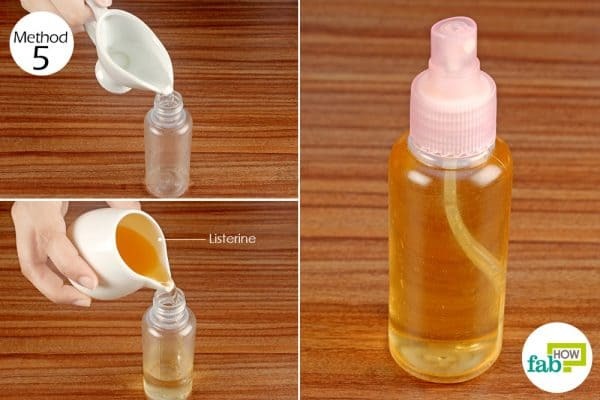 If you’re prone to acne or deal with frequent pimple outbreaks, Listerine is an effective and inexpensive solution. Its antibacterial and antiseptic properties that make it a pro at keeping cavities at bay also come in handy for eliminating pimple-causing bacteria. Listerine also helps dry out pimples, thus speeding up the healing process. 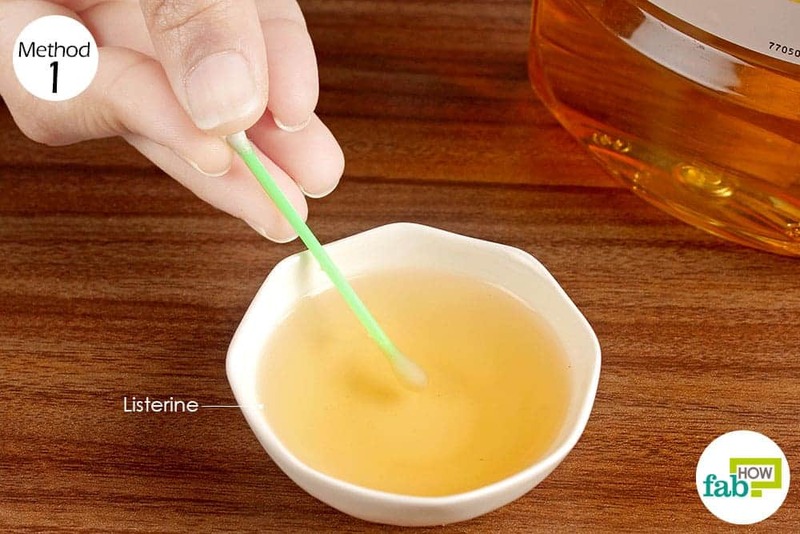 Before going to bed, dip a cotton swab in Listerine and dab it on the pimple, saturating it completely. 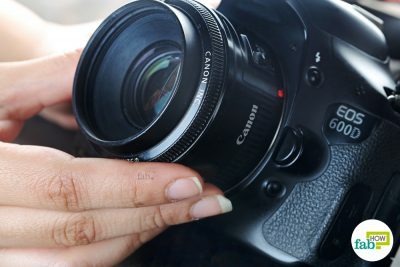 A single application should eliminate the pimple overnight. If your pimples are severe, apply Listerine twice daily for 2 or 3 days for complete recovery. Smelly armpits can give you a bad rep at your workplace and even alienate you from your peers. If your regular deodorant isn’t cutting it, let Listerine come to your rescue and keep your armpits, groin, feet and other smelly areas of the body stink-free. 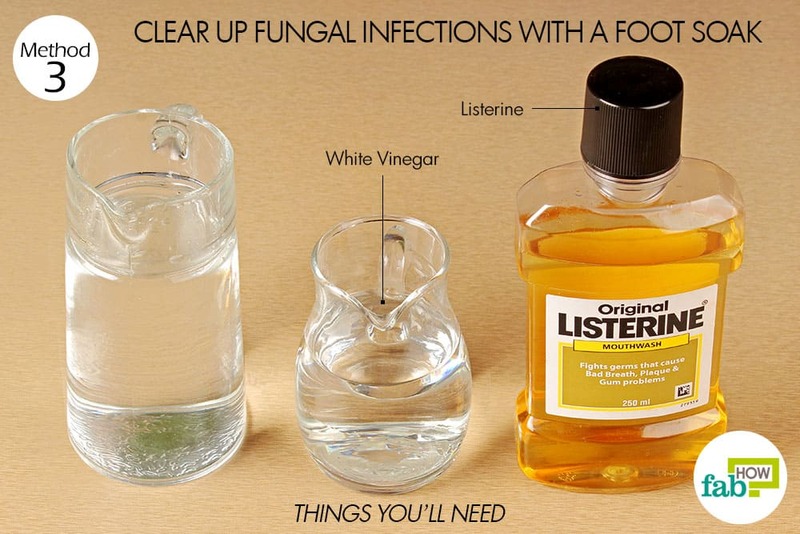 The antiseptic formula of Listerine eliminates odor-causing bacteria. Also, the alcohol present in it helps reduce sweating. Note: Avoid applying Listerine on your armpits after shaving or waxing, as it may cause irritation. Wipe your armpits with cotton balls soaked in Listerine. Let the Listerine dry and you’re good to go. Repeat twice a day for effective and lasting relief from armpit odor. Listerine is not just good for eliminating bad foot odor. It also can be used to treat or prevent other foot problems. Regular Listerine foot soaks can help treat and deter fungal infections like toenail fungus and athlete’s foot. Listerine foot soaks also help remove corns on the feet and soften calluses. 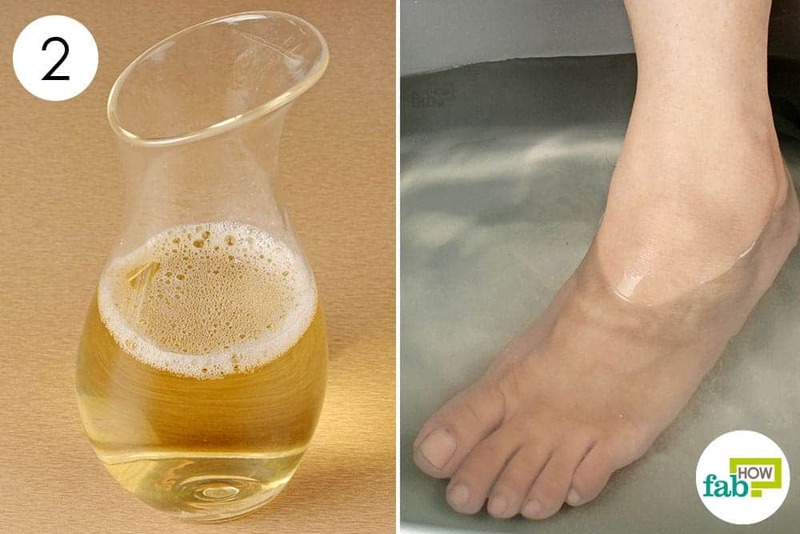 This foot soak solution uses Listerine combined with white vinegar for even better results. 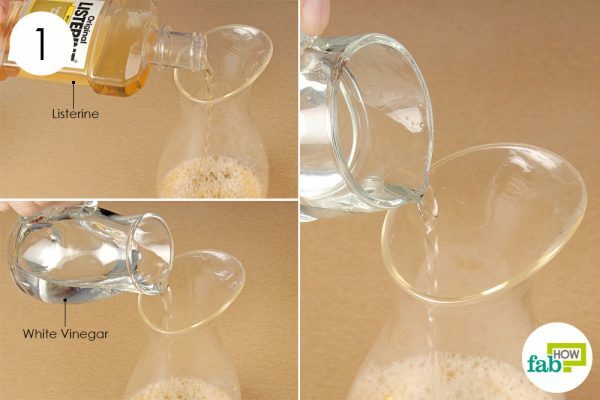 Pour ½ cup each of Listerine and white vinegar into a pitcher. Pour in 1 cup of water and mix well. Your Listerine foot soak formula is ready. Pour the Listerine foot soak formula into a tub or basin filled with water. Soak your feet in the tub for 15 to 20 minutes. Pat dry with a soft towel afterward. Repeat daily until the infection clears up completely. If the infection is mild, it should be gone within 1 week. Persistent itching in pets can make them lose their smiles and tail wags. If the problem isn’t treated timely, they can end up scratching the itchy patch raw. 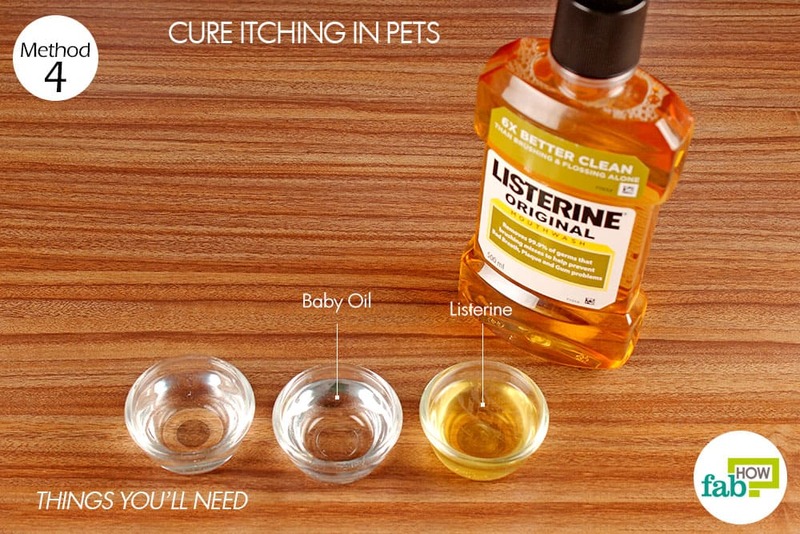 Listerine offers a popular topical remedy that has been hailed by many pet owners. A simple combination of equal parts of Listerine, baby oil and water can help eliminate the cause of the itchiness and help the skin heal. Listerine can also help keep ticks and fleas at bay. Note: Don’t use this remedy if your pet has scratched its skin raw. Pour 2 tablespoons each of Listerine, baby oil and water into a pitcher. Mix the ingredients well with a stick mixer. 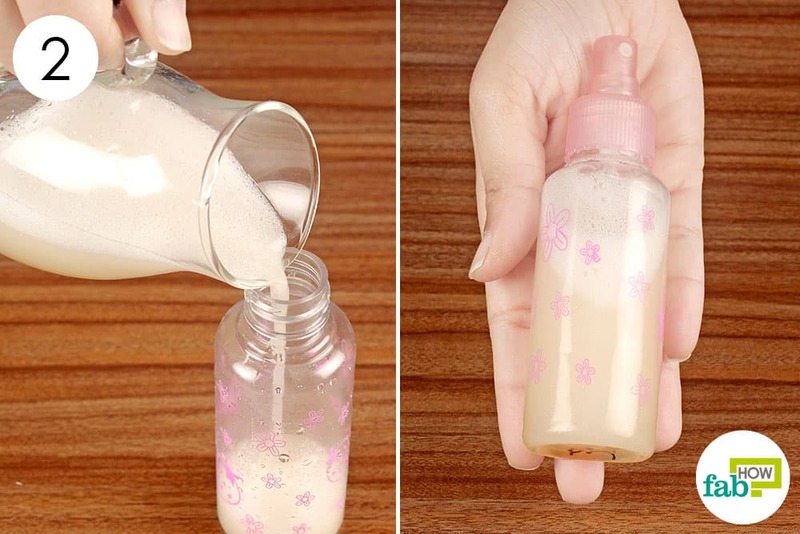 Pour the concoction into a spray bottle. Spray the Listerine solution on the itchy area on your dog. Repeat 3 times daily for a few days or until the problem clears up. Dealing with a lice infestation is truly icky, but the solution can be as easy as the Listerine in your bathroom cabinet. Listerine stuns the lice, which can then be combed out of the hair. 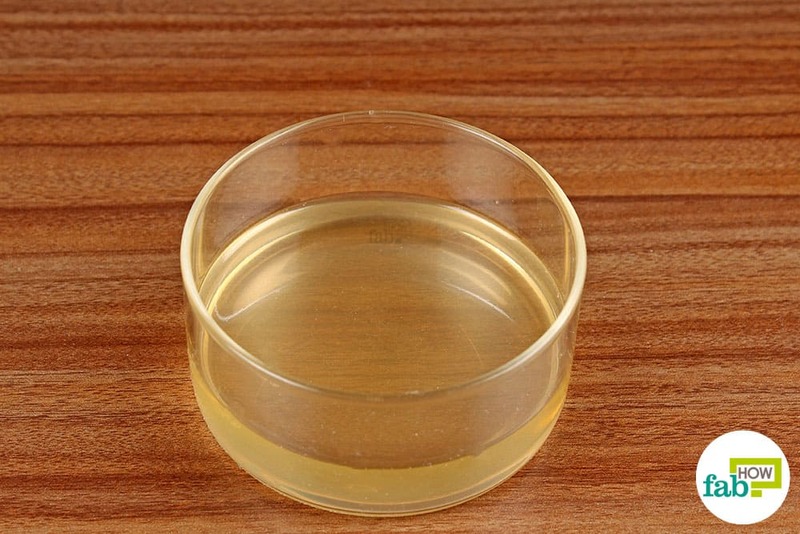 Its alcohol content also dissolves the adhesive with which the lice attach their nits (eggs) to the hair shafts. 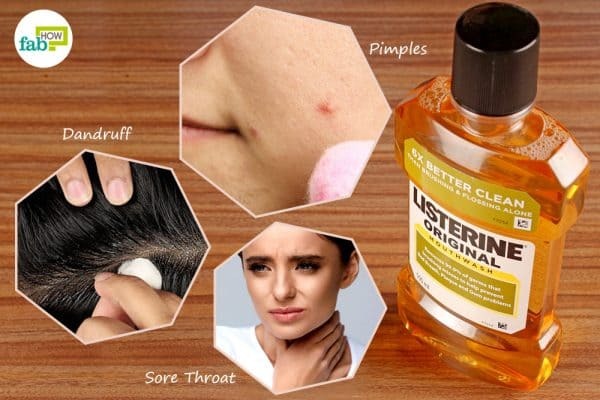 Plus, the antibacterial and antifungal properties of Listerine prevent secondary infections in the areas of the scalp irritated by incessant scratching. People with a sensitive scalp can dilute the Listerine prior to use. Fill ⅓ of a small spray bottle with water and the rest with Listerine. 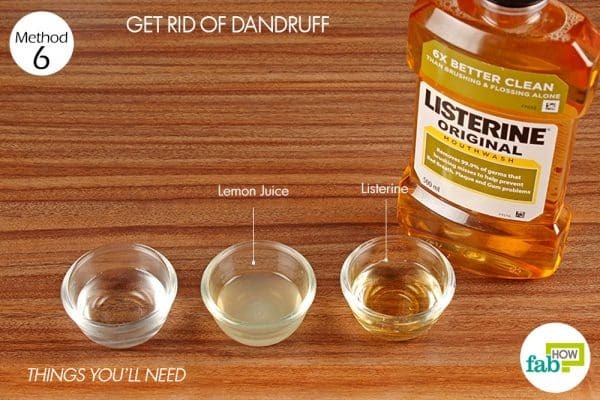 Spray the diluted Listerine on your head, saturating the scalp and hair shafts. Comb out the stunned lice with a good quality nit comb. Shampoo as usual to remove the Listerine. Repeat the remedy twice a week for 6 to 8 weeks to break the life cycle of the lice. Listerine is also an effective remedy for dandruff. If you’re shedding flakes all over your shoulders, you can get rid of the problem with this Listerine and lemon juice remedy. 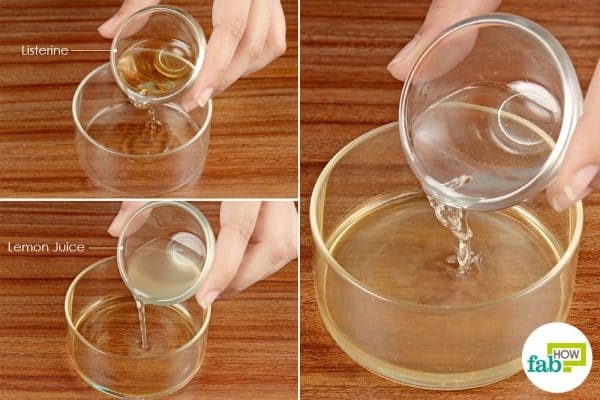 Besides clearing up a flaky scalp, this remedy will also treat the fungal infection that causes dandruff. Pour 1 tablespoon each of Listerine, lemon juice and water into a bowl. Apply the solution on the scalp, saturating it entirely. Let it sit for about 10 minutes, then shampoo as usual. Repeat twice a week for 2 weeks to get rid of dandruff completely. A sore throat is a common companion of a cold and the flu that can even make talking and laughing difficult. 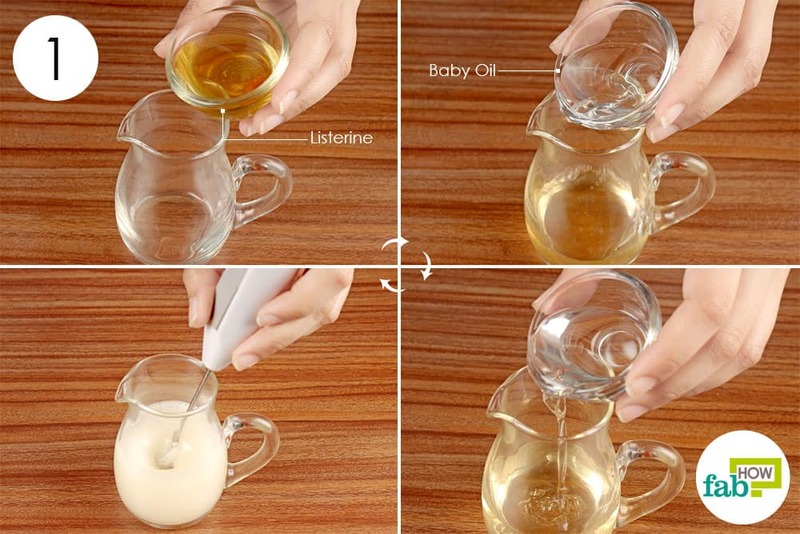 With an effective remedy like Listerine at hand, you can easily cure a sore throat. 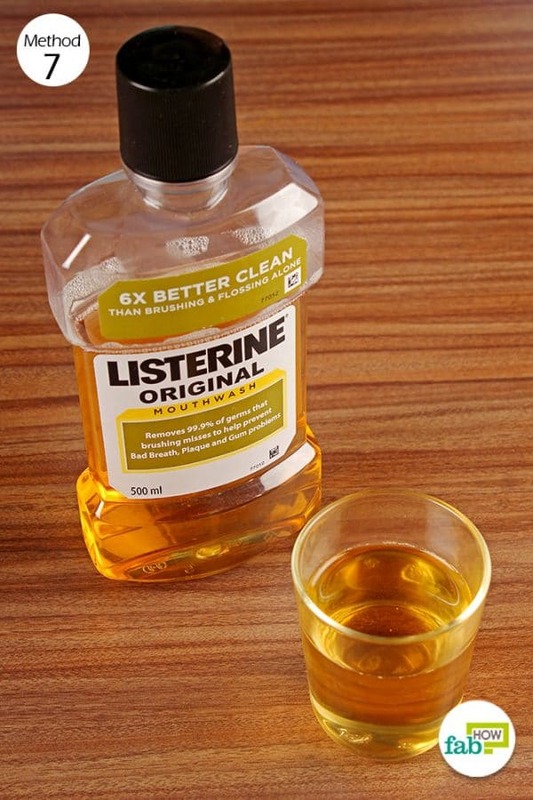 Gargling with Listerine kills the bacteria responsible for the sore throat, thus supplementing the body’s ability to fight the infection and heal. Simply take the required amount of Listerine in your mouth and gargle for about 1 minute. Use the remedy 3 times a day for 3 or 4 days to notice significant relief from a sore throat. Always test your skin sensitivity to Listerine before you use Listerine to fix skin, hair and health issues. If even the diluted Listerine doesn’t work for you, consider other alternatives. When using Listerine to get rid of dandruff, don’t let the solution get into your eyes, as it may cause severe irritation.